Captain, We’re Being Scanned by an Alien Ship. It wasn’t something being generated from within my code, and it wasn’t me doing testing (breaking) my code. Broken down, we can see the call was made from the IP address 169.229.3.91 and the URL they were trying to access was “-” with a 400 error response. 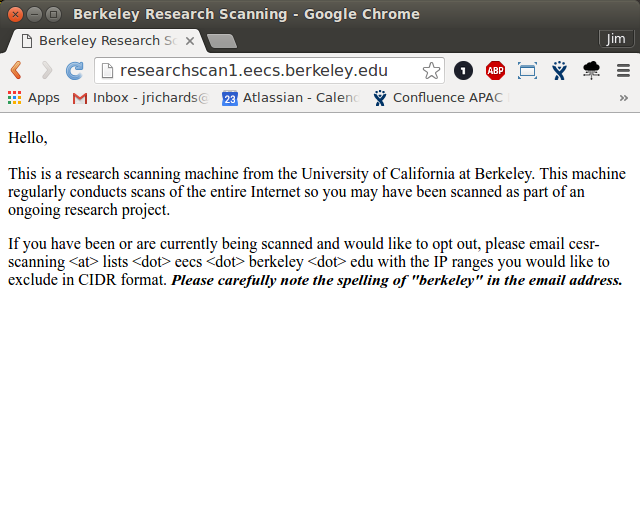 So, looking looking up the IP address we find it maps to researchscan1.eecs.berkeley.edu. 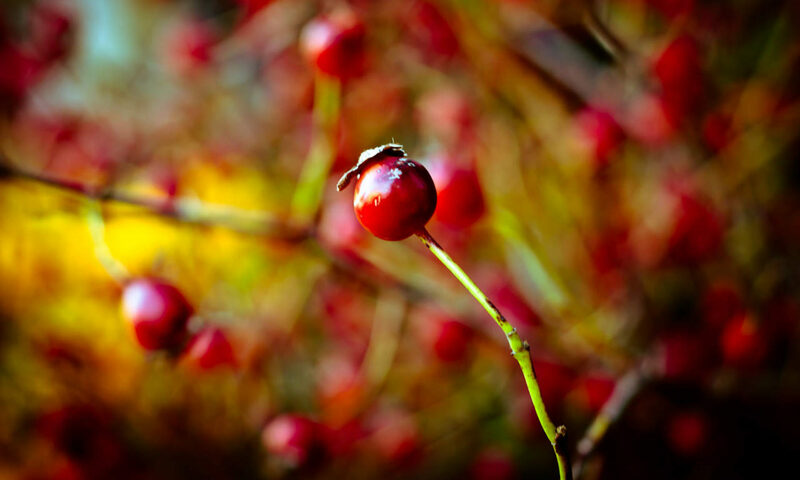 91.3.229.169.in-addr.arpa. 51389 IN PTR researchscan1.eecs.berkeley.edu. I emailed them and the errors have (mostly) stopped appearing in the logs. 1. I should point out, although this blog makes it look like I awesomely solved this in 15 minutes, it took a few weeks on and off and some deep Googling and Stack Overflow work to find the answer. And thanks for where I work, I get to share this Confluence log has java.lang.IllegalArgumentException: Invalid character (CR or LF) found in method name.